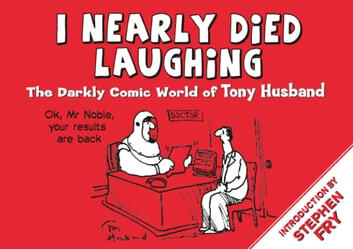 Guaranteed to make everybody laugh, and with an introduction by the renowned Stephen Fry, this collection of hilarious cartoons is an insight into the darkly comic world of one of the UK's leading cartoonists, Tony Husband. Tony Husband has created cartoons for many leading publications, including The Spectator, Private Eye, The Times and Punch. His Yobs strip (Private Eye) is one of the best-known comic strips in the UK and, at 25 years, one of the longest running. Tony has won more than 15 major awards, including the prestigious Pont Award. Funny, witty and deeply dark humour from one of the funniest cartoonists alive, this book is guaranteed to have you roaring with laughter in no time!